Breakfast and unlimited WIFI included. Located in Mulhouse in the new business district around Mulhouse TGV train station and 34 min from EuroAirport Basel Mulhouse Freiburg. A 1-min walk from the historic center, with all of the museums within easy reach . 24/7 reception, 76 non-smoking rooms with a cozy and modern design. Secure parking spaces are available on level -1 of the Gare Centrale underground car park (charges apply), with direct access via the museum exit in front of the hotel entrance. Mulhouse TGV business district. For private paying underground parking for ibis Styles and ibis budget guests, follow Parking Gare Centrale, entrance 106 Quai d'Alger, Level N-1. Pedestrian access via the exit toward the museum in front of the hotel. Spacious and nicely furbished room and a very nice breakfast included only 10 minutes away from the city center. Hotel, room all good. Nice welcome from staff...sweets for the kids our family room was a nice touch. Parking...some signage would help, or a really clear map on the website. Once you've parked..it's easy to get to the hotel. Staff very helpful and efficient. She was a young and lovely woman who did everything efficiently including giving us advice where to go for dinner although it was late and therefore difficult to find an open restaurant. Everything was ideal, room was a good size and clean and quiet. Very friendly staff and lovely breakfast. Would really like coffee making facilities in the room, but otherwise amazing value. Hotel excelent, TV not working. The breakfast excelent. Parking place with good access, nice bed, the room is very small, in the hole experience was very nice, the shower place is very small and opened making all toilet wet. Sorry to say that we are not the first to comment that the air-con in the rooms at this hotel do not cope with hot weather - the room directory says that it is set to 21deg C - but during our stay the temperature display stayed above 24deg C at all times (and staff could not improve it). Otherwise room and buffet breakfast were good. However the room directory still says there is a 10% discount at the adjacent Courtepaille restaurant - but the reception desk said this had come to an end 3 months ago. Nice room, clean, comfortable bed, very friendly staff, good food in restaurant next door. I was quite warm on the day I arrived and the room Temperature was showing 24c and the room guide says it should have been 21c so I switched it on to reduce the Temperature but nothing happens, no fans running. I rang the front desk to ask for assistance but the person there was unable to do anything to make it work. So I could have a warm stuffy room or open the window and listen to the road traffic outside. Good afternoon Mister H., We are so sorry about your problem in our Hotel. I confirm you, we will do our best to repair our air conditioning system. Can you just tell us at what time did you call the front desk to ask for help, please ? Your message is important for us to improve our services. Best regards. Cevahir. 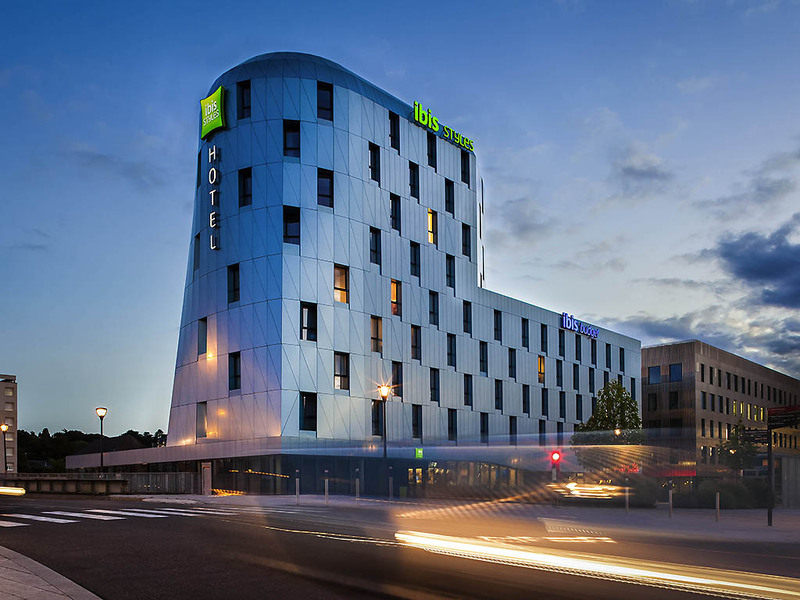 Family stay in this new Ibis Styles hotel, Staff were very friendly and helpful, room was very clean, Room was setup and ready for us on arrival. Breakfast was included and to a very high quality including Eggs. The only downside was that we were in a room adjacent to the Elevator and could hear it anytime it was usedm which wasn't much and no louder than Aircon.